The Battle Bus is loading up. First off, if you don’t know the term “Fortnite” by now, move on to the next article, because this is not for you. The world’s newest gaming revolution is upon us and has descended on our very own Holy Hill. The gleaming sound of a nearby chest, the terror of the storm closing in, and most important of all, the euphoric thrill of getting one’s own first “Victory Royale.” To understand what “Victory Royale” means, think of when you were six years old and came downstairs to see what presents Santa had left you. Before we get into the impact the game has had on students, let us explain what Fortnite actually is. The most popular mode, “Battle Royale,” consists of 100 players who parachute into a map in a free-for-all match to the death. The last one standing is awarded “Victory Royale,” the ultimate achievement for any human in the history of the universe. This is not an exaggeration. Fortnite IS this big of a deal. For all the girls out there, if you haven’t seen your male friends in the last three weeks, you now know why. The pursuit of a VR is a long and treacherous journey that often takes hours of intellectual and physical training. Retinas on fire, hours without sleep, developing maddening frustration when someone rocket launchers you from across the map, all that for those two seemingly meaningless words to appear on your very own screen: Victory Royale. For some students, Fortnite has become a serious problem. Some students are having a tough time pulling themselves away from the screen and meeting community expectations. Others have even contemplated going on medical leave because they are so addicted. We caught up with junior Luke Mascatello to get an inside scoop on his addiction to Fornite: “Sometimes as I walk through campus, I still hear that glistening sound of a nearby chest. I occasionally whack my hands against trees to see if I can get materials. You can set down your controller but you can never really leave the game.” One thing that makes the game so appealing to high schoolers is the fact that it’s simply free. However, you CAN put money into this game, and our very own Walker Espy has done so. Now, don’t get us wrong, his player’s new skin is totally cool. However, for some of Episcopal’s students, Fortnite has provided an opportunity to prove themselves as superior human beings. With little Victory Royale experience (1 combined to be exact), Gray and I turned to Sophomore Jared Andreala, who has logged 23 Victory Royales. This level of achievement is comparable to being the first human to walk on the moon or summiting Mt. Everest, This is a huge deal. Unfortunately, when asked about how he does it Jared declined from commenting due to the confidentiality of his highly successful strategy. The game is having a profound impact on faculty as well. Hummel dorm head, Mr. Davies, has reported hearing the Fortnite theme song through the walls of freshmen rooms during the school week (if you haven’t heard the song by now it’s worth a quick listen). 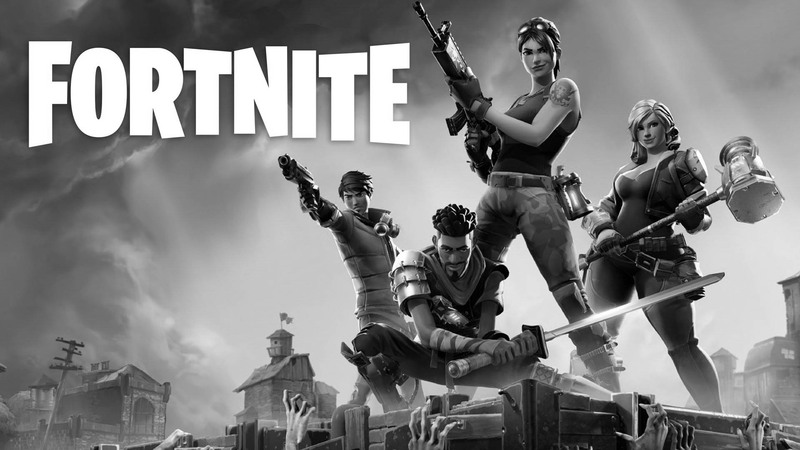 It’s hard to blame the kids though, as Fortnite has brought back thrill of late nite gaming. We aren’t sure if Ms. Hosmer offers help for Fortnite addiction, but if you are struggling putting down the controller, we would be happy to provide assistance.